Episcopal Diocese of Eau Claire | Community Christian Churches Welcome You! "…and the heights of the hills are his also." We are members of the worldwide Anglican Communion, a part of the Episcopal Church in the United States of America, who reside and worship in the northwestern counties of the State of Wisconsin. We come to know Christ through our study of Scripture, the praise and worship of God, and our service to others in His name. We make Him known to others through our love for, acceptance of, concern for, and respect of every human being. 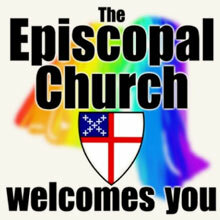 Want to know more about the Episcopal Church? Please click here!